This week it is the 20th Anniversary of one of the Greatest Films in the History of Cinema. A film that makes The Avengers look mild in comparison and whose Special Effects are more Magnificent than Avatar. 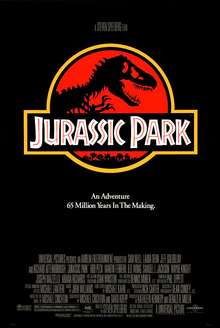 One of the most Magical Experiences cinema has produced to date; Jurassic Park. So to mark the occasion, I thought I would do a quick piece of Poetry , much like I recently did for another Steven Spielberg Classic – Jaws. I may do a bigger post on Jurassic Park at some point, but right now, let us enjoy some Haiku poetry and celebrate one of Cinema’s Greatest Films. And the feast it’s found. Back to life on earth. The jungle can be cruel. GENEPOOL (it was on Sky Movies earlier today, I really want to review this film). You know those questions people sometimes ask where they ask you or someone else to explain something in 1 word or 1 sentence. It can be quite tricky. There was an interesting report in an episode of Top Gear about parking cars (near where James May lives). It was one of those ones where you had to use a mobile phone to pay for your parking ticket. Part of the process involved describing the colour of your car in one word, obviously if it was a basic form of colour you would say something normal like Blue or Green. However if it was a bit more detailed like British Racing Green, what do you do? So when it comes to films it may be quite hard. OK if the person is asking how Fantastic/Good/Bad/Terrible/Lord of the Rubbish the film is you could say something like Fantastic or Poor. However how do you explain the whole film. Now this Idea came to my head last week after I watched Jurassic Park 3 on ITV (one of the channels). How about choosing a scene from Jurassic Park and then showing that scene to someone who has not seen it before (but to be fair everyone should have seen it by now, even 5 year olds) and that scene would explain what the film is all about without giving too much away. So here is my choice. The Brachiosaurus scene is the scene I would choose. It is the first Dinosaur to appear and for its Great Size it is quite Gentle to the people standing a few metres away. The scene also has the Music by John Williams in the background which brings out the scene in a nice way. It is nice and it is gentle as well as sounding natural almost like the type of music you would use for a nature program about Dinosaurs. OK it is the first complete view of a Dinosaur but technically the first Dinosaur is the Velociraptor at the start of the film but not too much is revealed and so it still contains a bit of mystery for the viewer of what the film is about (but is not a great description of the film at the same time, unless you think so otherwise). This scene works better than others because some of the other scenes like the first appearance of the T-Rex does give a few things away and while the scene with the Triceratops is quite beautiful that too gives too much away and does not have the surprise that the Brachiosaurus scene has (it was quite nice to see the Triceratops moving in The Lost World: Jurassic Park). Now this is just my opinion on what I think is the best scene to describe Jurassic Park. Do you agree with me or do you think there is a better scene that describes Jurassic Park? Or can you think of 1 sentence or even 1 word to describe the film? I like Dinosaurs, since when I was very young I have had a huge Interest in some of God’s most Amazing Animals. While I do not believe in Evolution I do believe in the existence of Dinosaurs. 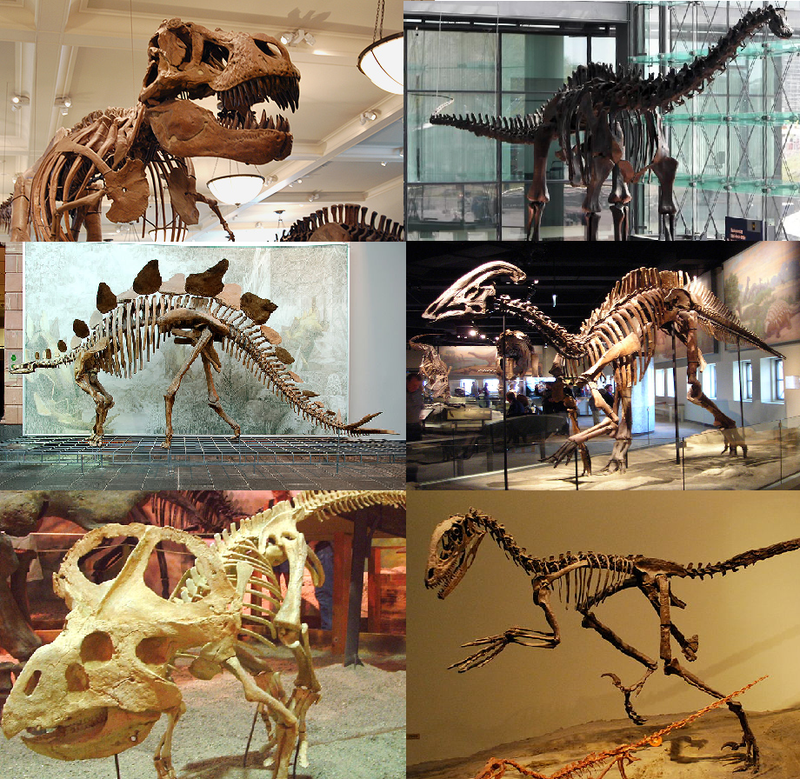 There are thousands of skeletons around the world and some of these are related to skeletons already discovered and from this we have proof of Dinosaurs. Evolution is a pretty stupid Idea; How can something like Dimetrodon turn into Gorgonopsid or how can Ambulocetus turn into Basilosaurus (none of these creatures are Dinosaurs but show a Good Point in showing that Evolution is a load of Rubbish). Over the years I have managed to gain knowledge to become (at least I think I am) an expert on these Fantastic Creatures. I have been wanting to do blog posts about them for a very long time and I am finally going to start. Now if you are confused about the title I will explain with a quote from Wikipedia: “The discovery of Iguanodon has long been accompanied by a popular legend. The story goes that Gideon Mantell‘s wife, Mary Ann, discovered the first teeth of an Iguanodon in the strata of Tilgate Forest in Whitemans Green, Cuckfield, Sussex, England, in 1822 while her husband was visiting a patient. However, there is no evidence that Mantell took his wife with him while seeing patients. Furthermore, he admitted in 1851 that he himself had found the teeth. Not everyone agrees that the story is false, though”. So you can see that the creature was discovered in 1822. The word Dinosaur which means Terrible Lizard was created by Richard Owen in 1842. So the creature was discovered 20 years before a name was given to describe the creature, back then it was probably just a form of Reptile. 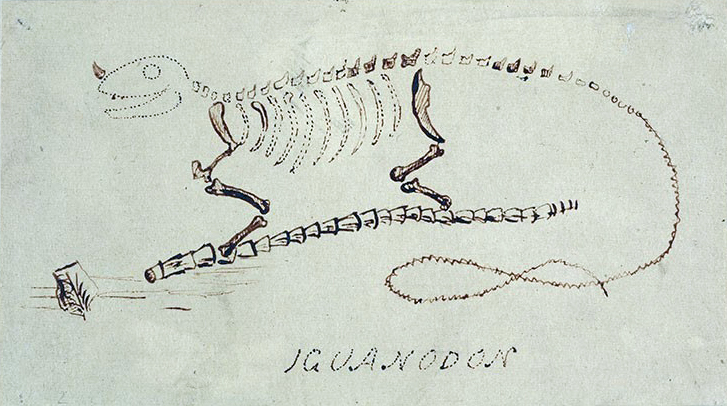 Iguanodon is also a tribute to the early days of paleontology and shows the inaccuracies that can occur with a newly discovered piece of history, in this case animals. When Iguanodon was first discovered and examined Mantell had an idea of what the creature looked like. It was a large animal that walked on all 4 legs and had a horn on its nose. 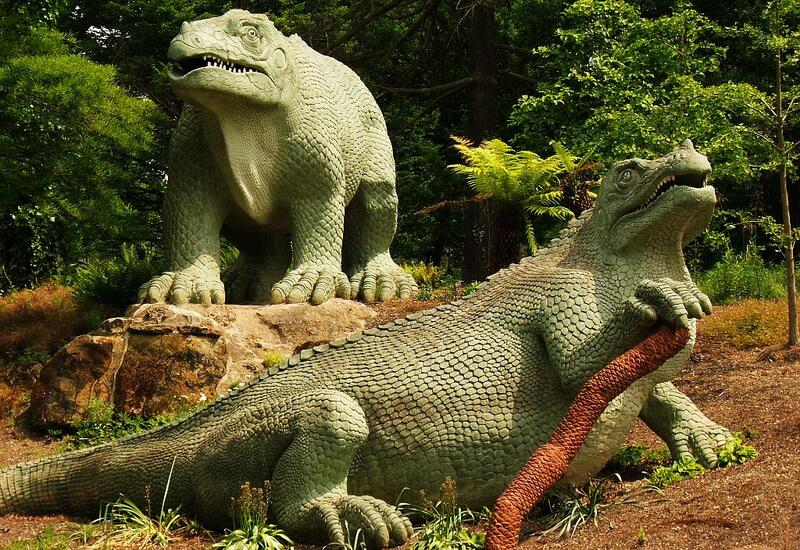 In 1854 2 years after the death of Mantell Iguanodon sculptures were unveiled in Crystal Palace London along with many other sculptures of extinct species and these sculptures can still be seen to this day. However today the Iguanodon sculptures are inaccurate to later discoveries. Mantell believed that the creature may have had forelimbs like arms but died before he could look more into it and so the Crystal Palace sculptures based on his ideas and designs were shown as what the creature looked like and it stayed this way for a long time. It was not until the discovery of several skeletons in 1878 in Bernissart in Belgium that the idea of these creatures standing up was finally seen. The Horn was also discovered not to have been a horn at all but a Thumb Spike. The fossils discovered in Belgium were among some of the first complete Dinosaur Skeletons discovered. More recent idea’s suggest that the creature may have walked on 4 legs and ran on 2 legs. So there were inaccuracies when dinosaurs were first discovered but this was 171 years before the Velociraptor Inaccuracies in Jurassic Park. Iguanodons were not just special for being some of the first dinosaur discoveries they are also special in their anatomy. It is a widely known fact that reptiles can’t chew. Unlike humans they can’t move their mouths around and so they have to gulp their food. Some reptiles have found ways around this like Crocodiles who do something called death rolling where they twist food to rip off small pieces of food and make it easier to digest. Some species eat stones so that when food enters the stomach it crushes the food. Iguanodon’s and species related to them like the duck-billed Dinosaurs had a battery of teeth in its mouth which helped it to crush up food and the design of its jaw enabled it to move its mouth from side to side enabling it to chew. Iguanodon is one of the greatest discoveries in Paleontology, a Dinosaur before Dinosaurs were named and for a herbivore it is huge. Without Iguanodon there may not have been Dinosaurs at all because it was for this creature and a few other creatures that the word Dinosaur was created. Without the discovery of Iguanodon the world of paleontology would be a whole lot different. Tonight sees the television return of Dinosaurs. Back in 1999 Walking with Dinosaurs arrived on Television bringing extinct creatures back to life in one of the greatest TV documentaries of all time. The show used State of the Art Computer-Generated Imagery to bring these Ancient Giants back to life and with it came many more advances in Computer-Generated Imagery. The show was made by Impossible Pictures and after the success of Walking with Dinosaurs they created many more TV series with the Walking with title including (The Fantastic) Walking with Beasts and Walking with Monsters. They then went on to do Primeval on ITV (ITV’s challenger to the re-launch of Doctor Who). Even though Primeval has dinosaurs in it Walking with Dinosaurs is still a lot better than Primeval. It has now been almost 12 years since Walking with Dinosaurs first aired and tonight on BBC One the Ancient Giants return in Planet Dinosaur. This time however Impossible Pictures are not providing the Special Effects. Visual Effects studio Jellyfish PIctures have been commissioned to create the series. There have been several trailers shown on the BBC and it looks amazing, but how will it compare to Walking with Dinosaurs. I am already very excited about this new show and I don’t have long to wait. Watch Planet Dinosaur 8:30pm on BBC One and BBC One HD (if you have access to BBC One HD).